The Miller 416SS stainless steel D-Bolt Permanent Anchorage Connector from Miller Fall Protection is designed for up to 4-in. 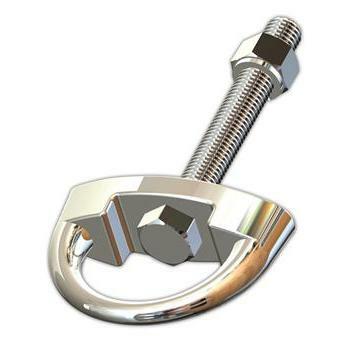 The 416SS stainless steel D-Bolt Permanent Anchorage Connector from Miller Fall Protection is designed for up to 4-in. 102 mm working thickness, and includes a 5/8-in. 16 mm diameter bolt with lock washer and nut. The 416SS is your choice for a strong, permanent connection for your workers when operating at high elevations.